It's been reported that Datuk Seri Ahmad Zubir wants 22 other Sime Darby Directors brought into the legal suit over losses from the Bakun dam project. The notice also stated that the grounds for its claims “are that at all times material to this action you were a member of one of more of the Board of Directors of the Plaintiffs herein representing the highest decision making bodies of the Plaintiffs and as such you owed a duty to exercise due skill, care and diligence in the exercise of your duties”. Ahmad Zubir, in his statement of defence, had accused the plaintiffs of "selective prosecution", saying they had disregarded the functions of various board committees, the collective responsibility of the main board of the group and the supervisory committee. Datuk Seri Ahmad Zubir believes that the Directors of Sime Darby owed a duty to exercise due skill, care and diligence in the exercise of their duties. Must questions of collective responsibility as well as the duty to exercise due skill only be brought into play when matters have escalated to losses in the amounts of hundreds of millions of Ringgit? Datuk Seri Ahmad Zubir must also get his former fellow Directors to answer collectively on why they retained PwC Malaysia as their auditors, when PwC Malaysia and its MD, Chin Kwai Fatt, find it reasonable to commit fraud to hide hundreds of millions of Ringgit in contingent liabilities themselves, to defraud creditors? In the good old days before the losses hit the headlines, Sime Darby paid RM 18.1 million in audit fees and 4.3 million in non-audit fees to PwC for 2009, while in 2008 the payments were 15.2 million and 4.3 million respectively. For this multi-million Ringgit auditor work that Sime Darby needs, shouldn't the Board of Directors ensure that the auditors are beyond reproach in any matter imaginable? 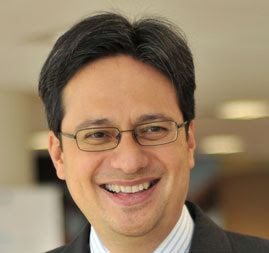 Did the Board question the engagement partner, Dato' Johan Raslan, the Executive Chairman of PwC Malaysia, on why the firm of PricewaterhouseCoopers Consulting Sdn Bhd (464379-U) was not sold to IBM Corp together with the rest of the PwC consulting business worldwide, back in 2002? Did the Board of Directors of Sime Darby ask Johan Raslan the necessary questions before giving PwC the multi-million Ringgit audit job? Did the Board of Directors of Sime Darby, exercise due skill and care when PwC were retained as auditors despite the fact that the MD of PwC had signed a false declaration in 2008, which is an offence under the Malaysian Penal Code? Did they ask why he signed off that the firm of PricewaterhouseCoopers Consulting Sdn Bhd (464379-U), at the date of the signing is able to meet its liabilities as and when they fall due, without disclosing the several hundred million in contingent liabilities hidden in it. 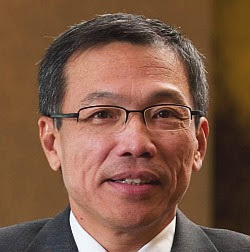 Did the Board of Directors of Sime Darby exercise the necessary diligence, and ask Johan Raslan why two individuals known as Foong Weng Chee and Chu Kum Yoon were hired as Directors for a company known as PwC Consulting Sdn Bhd (289801-A), even though these two have never been involved in the PwC Consulting business in any way? Did the Board of Directors of Sime Darby ask Johan Raslan on why PricewaterhouseCoopers Consulting Sdn Bhd (464379-U), in which both he and Chin Kwai Fatt are Directors, will use the services of a tainted auditor for its own books? Should not the Board of Directors of Sime Darby also explain to the shareholders why they chose PwC Malaysia as the external auditors despite all the evidence that points to an ongoing fraud within PwC itself to this very day? 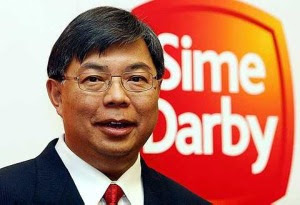 With all the questions hanging over the heads of the auditor, PwC Malaysia, itself, to what extent can the shareholders and investors 'buy' the numbers that are in the annual report for Sime Darby?